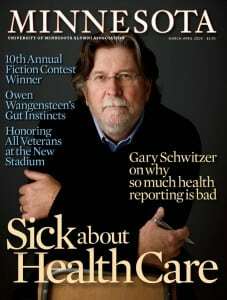 Gary Schwitzer has specialized in health care journalism in his 45-year career in radio, television, interactive multimedia and the Internet. evaluate and grade daily health news reporting by major U.S. news organizations. evaluate and grade health care news releases from many sources – government agencies, medical journals, industry, academic medical centers, etc. In its first year, the project was honored with several journalism industry awards – the Mirror Award, honoring those who “hold a mirror to their own industry for the public’s benefit,” and the Knight-Batten Award for Innovations in Journalism. 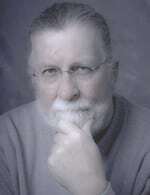 His blog – which is embedded within HealthNewsReview.org – was voted 2009 Best Medical Blog in competition hosted by Medgadget.com. In 2013, he received an Adjunct Associate Professor appointment from the University of Minnesota School of Public Health. From 2001-2010, he was on the faculty of the School of Journalism and Mass Communication at the University of Minnesota, teaching health journalism and media ethics, and earning tenure in 2007. He left that position to devote fulltime to HealthNewsReview.org. In the ’80s, he worked for four years at the National Office of the American Heart Association in Dallas. He was a television medical news reporter for 14 years, with positions at CNN in Atlanta, WFAA-TV in Dallas, and WTMJ-TV in Milwaukee. He was head of the medical news unit at CNN, leading the efforts of ten staff members in Atlanta and Washington, D.C. After leaving the television news business, he soon began to receive many requests to write or speak on the state of health care/medical journalism. He has taught health journalism workshops at the NIH Medicine in the Media series, at the Knight Science Journalism Fellowships at MIT Medical Evidence boot camps, at Association of Health Care Journalists (AHCJ) national conferences, at AHCJ chapters in NY, Chicago, Philadelphia and San Francisco, and at National Cancer Institute (NCI) workshops in Rio de Janeiro, Guadalajara, San Juan, Beijing. and in New Delhi and Mumbai, India. He gave a keynote address at the International Shared Decision Making conference in Lima, Peru in 2013 and delivered a plenary address at the National Medicines Symposium in Brisbane, Australia in 2014. In 2015 and 2016, he spoke at the 3rd and 4th annual Preventing Overdiagnosis conferences at NIH and in Barcelona. In 2016 he also spoke at the Public Responsibility in Medicine and Research (PRIM&R) Advancing Ethical Research conference in Anaheim, CA, in the closing general session: Errors of Enthusiasm: Responsible Communication of Research Findings. Visit this page for a more complete list of talks, workshops and presentations he has delivered in recent years. The Magical Medical Media Tour. Journal of the American Medical Association, 1(4) 267, 1992. Are machines driving public demand? News media coverage of medical technology, The Internist: Health Policy in Practice, 33(9) , 1992. How the media left the evidence out in the cold British Medical Journal, 2003. Ten troublesome trends in TV health news. British Medical Journal, 329 1352, 2004. Time to put “miracle” on ice. Minnesota Medical Association, Minnesota Medicine, 87 46, 2004. The failure of local TV news to cover health policy in 2004. British Medical Journal. Why Journalists Struggle With the Chronic Illness Story. The Johns Hopkins University Press, Meeting the Challenge of Chronic Illness, 239-251, 2005. Is this test really necessary? Star Tribune, February 28, 2008. How Do US Journalists Cover Treatments, Tests, Products and Procedures: An Evaluation of 500 Stories. PLoS Mediciine, 5, e95. Science Journalists Cross the Line. The Daily Beast, October 28, 2008. The State of Health Journalism in the US. Kaiser Family Foundation, 2009. Covering Medical Research: A Guide to Reporting on Studies. Spring 2010. Association of Health Care Journalists. News coverage chapter in FDA book, “Communicating Risks and Benefits: An Evidence-Based Users Guide.” pp. 185-193. Published August, 2011. Addressing tensions when popular media and evidence-based care collide. BioMed Central Medical Informatics & Decision Making. 2013. “First Do No Harm: Pressing for Accuracy, Balance and Completeness in Health and Medical Journalism“ chapter in book, “First Do No Harm: Reporting on Health and Healthcare.” 2014. pp. 81-87. Libri Publishing. A Guide to Reading Health Care News. JAMA Internal Medicine. Published online May 05, 2014. doi:10.1001/jamainternmed.2014.1359. Trying to drink from a fire hose: too much of the wrong kind of health care news. Trends in Pharmacological Sciences 36 (2015), pp. 623-627. Published online October 1, 2015. Statins, news and nuance. Editorial in The BMJ. June 28, 2016. How can journalists do a better job reporting on the principles of shared decision making? Chapter 41 in “Shared Decision Making in Health Care: Achieving evidence-based patient choice,” 3rd edition, Oxford University Press, 2016. Feeding the Watchdog HealthNewsReview Has a Voracious Appetite for Analyses. Crain’s NewsPro magazine. May 2017. 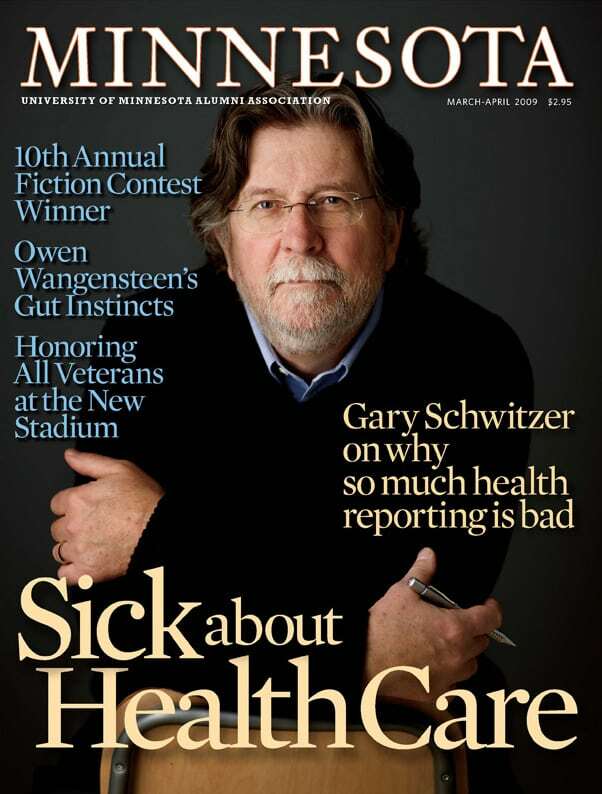 Health news watchdog: The U’s Gary Schwitzer is on a mission to keep medical reporting honest. University of Minnesota Foundation Legacy magazine, Spring 2017. 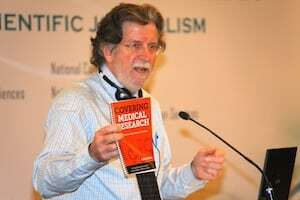 The Ethics of Science and Health Journalism- A Q&A with Gary Schwitzer . Wiley Exchanges blog. June 8, 2017. 2016 – Meet the guy who calls out B.S. health news for a living. Men’s Health. 2009 Best Medical Weblog Award. Named one of 25 Champions of Shared Decision Making by Informed Medical Decisions Foundation, 2014.